Since it launched in 2016, Facebook Live has grown from a novelty to a serious broadcasting and marketing tool on the world’s largest social network. According to Facebook, there have been more than 3.5 billion Live broadcasts, created by hundreds of millions of people. Nearly two billion people have watched a Live broadcast—that’s more than a quarter of the entire population of the world. In the social sphere, engagement is key. More engagement not only indicates a better response from fans, but also boosts your content in the Facebook algorithm. Live videos are definitely winning on this front. They get six times more interactions than regular Facebook videos and have received more than 150 billion responses from fans. 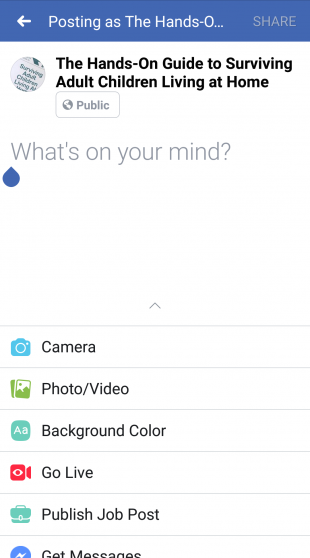 You can get started with Facebook Live video using nothing more than your mobile device. With so much potential to connect directly with fans and new customers in real time, this is a marketing tool that’s worth exploring for all businesses. Bonus: Want to know how a viral social video creator makes millions of dollars in sales? Download the free guide now. The process of launching a Facebook Live video—also known as “going live”—is slightly different depending on whether you’re using a personal profile or a business page. The easiest way to get started is to to create a Facebook Live broadcast directly from your mobile device, since this does not require any special equipment, software, or coding—and you can broadcast anywhere you’ve got a strong internet connection. 2. From your newsfeed, tap Write something. 4. Add a description of your video. 6. Tap the three dots icon on the bottom right, then tap Geo Controls to select the audience for your video. 7. Choose the audience for your video based on age, gender, and location. 9. Tap Start Live Video. 4. Tap the To: field to choose whether to make your video public, visible only to friends, visible in a group, or visible to only a custom list. 5. 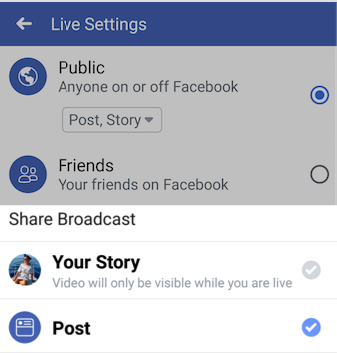 From the same screen, choose whether to share your live video as a post, or only to your Facebook story. If you choose to share it only to your Story, the video will only be available while you are broadcasting—it will not be saved to your profile. 6. On the same screen, scroll down to Notifications and make sure the Send Notifications toggle is switched on to notify friends and followers when you go live. 7. Add a description of your video. 8. 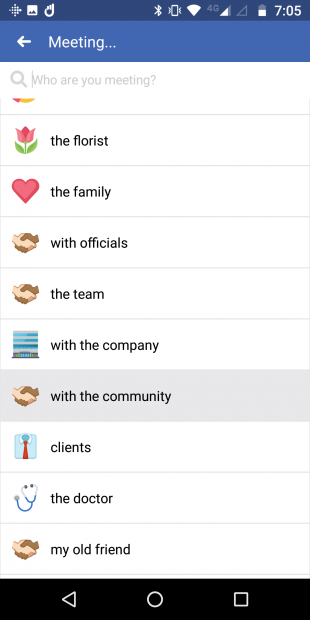 Add details: Tap the person icon to tag anyone who appears in your video with you. 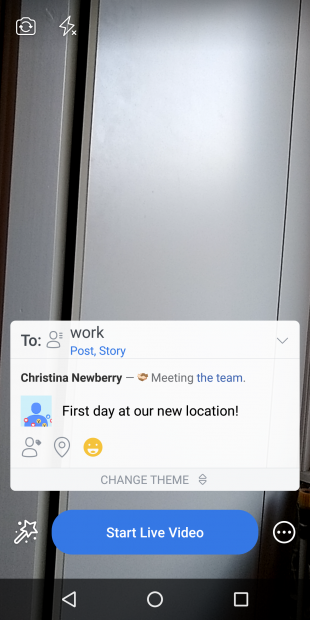 Tap the location icon to add your location if appropriate, and tap the face icon to add more information about how you’re feeling or what activity you’re showcasing in your video. 9. Tap Live Video to broadcast by yourself or Bring a Friend to broadcast with another person in a different location. 10. Tap Start Live Video. If you prefer, you can also go live from your laptop or desktop computer. 1. From the Create post box on your news feed, click Live or Live Video. 2. Click Camera to use your computer’s built-in webcam. 3. Choose where your video will appear and add your description. 4. Add a title for your video. During your Facebook Live broadcast, you’ll see the number of live viewers, the names of any friends who are tuning in, and a real-time stream of comments. Once you’ve ended your broadcast, the post will save to your profile or Page like any other video, unless you’ve selected to share it to your story only. Live broadcasts can be up to four hours long. Broadcasting live, by its very nature, means you can’t plan precisely what’s going to happen. But that doesn’t mean you should just wing it. Like any type of content online, a Facebook Live broadcast should have a purpose. Before you begin Facebook streaming, ensure that you’ve taken some time to think about what your broadcast is about, what you want to say (or do) in it, and why it makes sense as a Facebook Live stream as opposed to some other format of content. Prepare a list of talking points to have on hand. You may never need them, but they can save your broadcast if you suddenly freeze once the camera’s on, or if you hit a lull in your conversation with a guest. While viewers expect social video to be polished, audiences often enjoy the opposite in Facebook Live video. Production value tends to be less professional and more raw, which many viewers perceive as more authentic. Let people know about your live stream in advance with teaser posts on Facebook and other networks. #AI is already a reality! ???? Facebook recommends letting your audience know about your live stream one day in advance and asking viewers to subscribe to Live notifications so they will always know when you go live. Simply ask them to click the Follow button at the bottom of your Facebook Live video. It’s important to make sure you have a strong signal before you begin broadcasting. While WiFi is ideal, if it’s unavailable, a 4G connection works well. If your connection isn’t good enough, the Go Live button will be greyed out and you won’t be able to start your live broadcast. You should also check your equipment in advance. Try setting your Facebook Live audience to Only Me to preview how well your lighting and sound equipment is working before sharing the video with your fans. External microphones, especially for interviews. If you’re alone, you can use the built-in microphone on your earbuds. A tripod to ensure a steady shot. If you don’t have one, you can simply prop your device up against some books or a wall. Add your location to your Live video so it shows up on the Facebook Live Map and gives you a greater chance of being discovered by new viewers. The map showcases public live videos from all over the world and is one of the best ways for viewers to find live videos from publishers they don’t already follow. Not everyone will join your live stream right away. 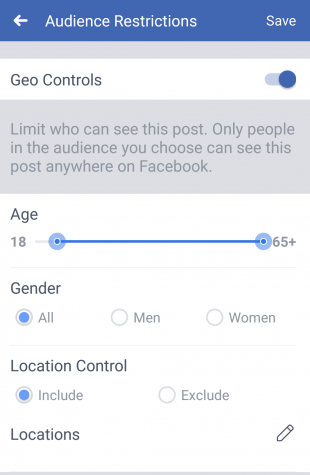 Facebook recommends broadcasting for at least 10 minutes to reach the most people. So, give your video a great intro, but don’t try to cram everything into the first couple of minutes, since some people might miss what you say. If you’re interviewing another person, a classic radio interview technique can help create context for people who join your live video in progress. Every so often, say your guest’s name at the start of a question to let viewers know who you’re talking to without disrupting the flow of the conversation. A brand watermark or branded background can also help make sure people have some context for what they’re watching as soon as they join your live stream. And, of course, this is another reason why it’s important to write a compelling and informative description of your video. It can be tricky to keep up with audience comments if you’re the one hosting the video. If possible, assign someone to respond to comments as they come in, so you can focus on speaking. 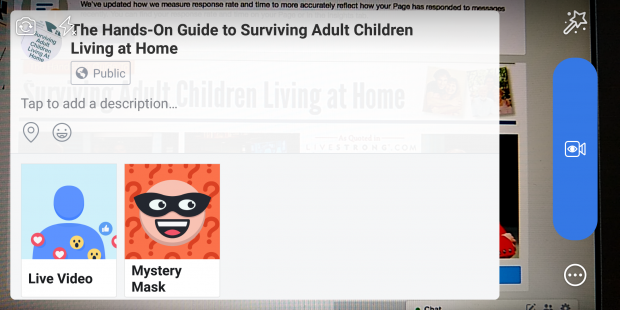 This person can let you know if there’s a question you should answer live, or can point people to relevant resources in the comments. Think about what resources you might need in advance so you can have a list at your fingertips as the questions start to come in. To encourage engagement, try pinning a comment that asks viewers a question relevant to your video content. Just write your comment, post it, then tap it and tap Pin this Comment. 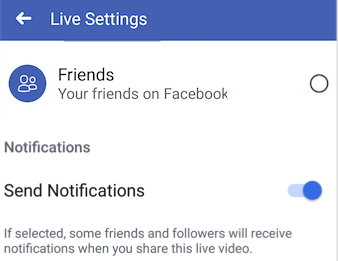 Your live video will remain visible on Facebook after it ends. But you may also to consider editing it into one or more shorter videos that highlight certain key points or great moments. You can then share these as regular Facebook videos, or post them to other social networks. This ensure you reach people on the platforms they use, rather than forcing them to come to you. The Facebook algorithm considers “how frequently viewers return to watch your content and how many you retain on a weekly basis.” Broadcasting live on a regular schedule will encourage viewers to return regularly, since they know what to expect from you and when. Not sure what to create for your first Facebook Live video? Here are some ideas to get your started. When something’s on everyone’s minds, it can be worthwhile for your brand to dive into the conversation. Keep in mind that whether it’s the holidays or the latest craze, it’s crucial to only hop on board if what you have to say is relevant and useful. International Women’s Day provided a great reason for London’s The National Gallery to dive into the history of a specific painting from its collection in a Facebook Live broadcast that got more than 27,000 views—an impressive audience for a nearly 12-minute, fairly academic discussion of one work of art. Celebrate London History Day with us as Senior Research Curator Susanna Avery-Quash and Suzanne Bosman, author of ‘The National Gallery in Wartime’, take you on a historic tour exploring acts of courage taken by the Gallery during the Second World War. The interactive nature of Facebook Live means the platform is perfect for Q&As—especially since Facebook data shows that Live videos featuring two or more people are more likely to be successful. All you need is a host and a willing and interesting guest (or several). The audience can join in and ask questions in the comments, making the experience interactive. Author and podcaster Adam Grant regularly interviews interesting people, from astronaut Scott Kelly to Sheryl Sandberg to Malala Yousafzai. He often shares these as live videos on his Facebook Page. Adam’s live interview with relationship expert Esther Perel racked up 164,000 views. Get the free social video guide now! Journalists, publishers, and other media organizations already know when and how to live-stream breaking news. Brands can get in on the action, too, as long as your “news” is truly newsworthy—at least for your biggest fans. America’s Next Top Model uses Facebook streaming to get fans involved with the show throughout the season. The platform was an obvious choice for announcing the top 14 finalists in the latest season. After revealing the names of the finalists, Tatiana Price (runner-up from cycle 23) and Drew Elliott (one of the judges from the show), answered fan questions from the live comment stream. The 16-minute video has been viewed more than 160,000 times and got 1,500 reactions. This season's 14 #ANTM FINALISTS with panelist Drew Elliott, last cycle's Tatiana Price, and a special message from Tyra Banks. Meet the ladies TUESDAY JAN 9 at 8/7c on VH1. From conferences to concerts, Facebook Live is a good place to stream live events. It opens up the experience to a wider audience, broadening the scope of your event. The Centers for Disease Control regularly post live streams of important conferences related to their work and topics of human health, including this recent session on preventing childhood obesity. Public health students and professionals: We are LIVE now with today’s Public Health Grand Rounds broadcast on childhood obesity prevention. Leave your questions for our presenters in the comments below. In a completely different vein, Armin van Buuren created a Facebook live feed showing nearly four hours of his set from the Untold Festival. The stream brought in more than half a million views and more than 6,000 shares, making it the most-shared Facebook Live video from a musician in August 2018. Bob Herzog, a host of Good Morning Cincinnati, is a dedicated Facebook Live broadcaster. He’s gone viral with his Wake Up and Make Up Facebook Live videos, which show the less-than-glamorous behind-the-scenes aspects of being a newscaster. Wake up and makeup! Tuesday, September 25th, 2018.Bad back. Bad angle. Sometimes… bad is bad. ???? His videos have attracted a whole new audience to his morning TV show. The station is now capitalizing on that connection with fans. During a commercial break in the TV show, Herzog uses a Facebook Live feed to ask fans what they should talk about on TV in the next hour, creating incredible real-time engagement across platforms. Let’s talk about what we should talk about! Goats that party? Dogs that bark? Marrying millenials? Spicy snacks that get you all outta whack? His videos get an average of 5,200 comments per week. Facebook streaming can be a great way to show off your products and how to use them. It can also be a great place to demonstrate a process, like how to cook a recipe or complete a DIY project. Martha Stewart is the master of this. Her cooking and craft projects are perfect for Facebook Live, and regularly get hundreds of thousands of views. The genius of her strategy is that each video is used to promote other products from the Martha Stewart empire—for example, her TV show on PBS, her craft supplies from Michaels, or one of her books. A recent Facebook Live cooking video in which she was joined by Jennifer Garner was viewed more than half a million times. The video promotes the latest issue of Martha Stewart Magazine. The Martha Stewart team also does a great job of responding to fan questions in the comments, directing them to even more Martha Stewart resources and products. Facebook’s live Oculus Connect 5 keynote, showcasing the company’s new VR gaming product called Oculus Quest, got more than 300,000 views in the first four hours it was online. Watch live as we announce the future of virtual reality at the Oculus Connect developer’s conference. With the introduction of Facebook Watch, Facebook is encouraging the creation of regular video programming and going after exclusive rights to live broadcasts. Facebook Watch is not yet available worldwide, and you have to apply to become a show creator through the platform. While Watch might not be the best fit for all businesses, anyone can create a regularly scheduled Facebook page live video series. Cheddar calls itself the first “post-cable” news network. They broadcast regular daily news shows on Facebook Live: Opening Bell in the morning and Between Bells in the afternoon. Between Bells: New Kavanaugh accuser, TV Network shuffle, Jack Osbourne, and Japan's asteroid mission. With Reason Magazine, The Hollywood Reporter, and Space.com. How does the Facebook algorithm treat Facebook live video? Facebook considers Live video a distinct content type from other video shared on the platform. This distinction is important for brands because it means that the Facebook algorithm treats native video and Live video differently, with Live videos more likely to appear higher in News Feed while they’re live. Live video is identified with a red Live icon in the top left-hand corner of the video. Live videos typically see six times more interactions than other videos. These higher engagement rates could be a good signal to the algorithm. Facebook Live video also has its own notification system. 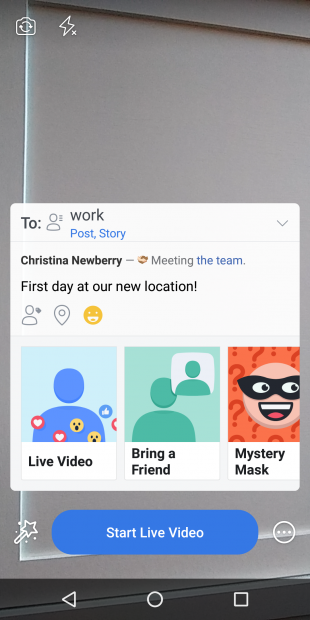 When a person or Page starts a Facebook Live feed, people they frequently engage with or have recently interacted with may get a notification. Viewers can choose to subscribe, which means they’ll be notified any time that broadcaster goes Live. A panel on the left side of the screen features a list of the most popular current live broadcasts. As with the dots, hovering over one shows both where the broadcast originated and where people are streaming it from. Where do Live videos appear on Facebook? Live videos appear in viewers’ newsfeeds and on the page or profile of the person recording the video. 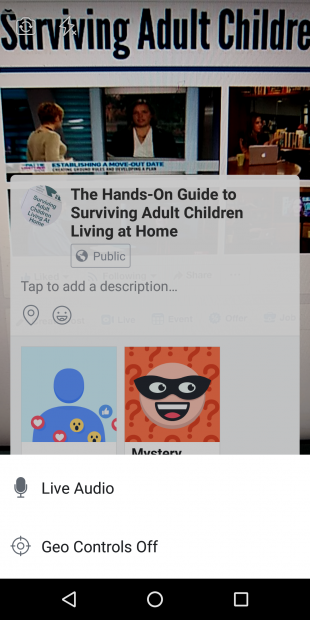 When the broadcast is over, the video will appear on your page or profile, just like a regular video, unless you have set it to broadcast only to stories. People who engage with you often by liking or commenting on your content may receive a notification when you go live. 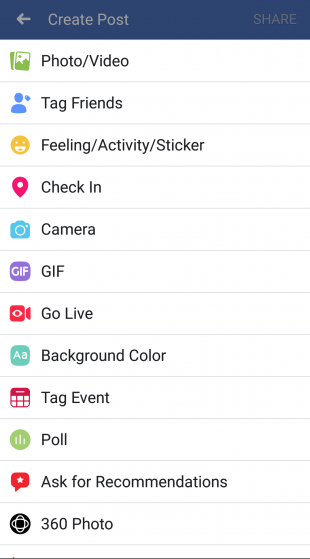 How long can you record live on Facebook? Facebook Live videos can be up to four hours long unless you choose a continuous feed through one of the publishing tools described at the end of this post. Do I have to broadcast from a mobile device? No: You can also broadcast directly from your laptop or desktop computer. When you’re first getting started with Live video, broadcasting from your mobile device or computer is the easiest option and requires no special skills or equipment. Can I use professional video equipment with Facebook Live? Yes. Once you’re confident with your live video skills, or if you have a tech team to help you, there are options that allow you to use more professional equipment. You can also use these methods to schedule Live broadcasts up to a week in advance in order to build up an audience before you begin streaming. When you schedule a Live video, an announcement will be posted to News Feed letting your fans know the broadcast is coming. Users who see the post can choose to receive a notification that will remind them shortly before the broadcast begins. Fans can then join a pre-broadcast lobby where they can connect and interact with other viewers before the Live video starts. You’ll also get a link you can share or embed on your website. Finally, using these methods, it’s possible to broadcast continuous live video. This offers a great option for users who may want to showcase a constant Live feed, such as a museum or zoo. The Facebook Live API allows broadcasters to “seamlessly incorporate Live into their existing broadcast setup.” This enables features like camera switching, instant replay, on-screen graphics, and special effects. The API requires developer skills. To get started, follow the steps in Facebook’s Quick Start Guide to streaming Live Video with the Graph API. Note that Facebook recommends a wired Internet connection (as opposed to wifi) for this broadcast option. 1. On your Page, go to Publishing Tools. 2. Under Videos, select Video Library and then +Live. 3. Click Connect to connect your software, then go to Post. 4. Target your audience and add your description. 5. Add a title and tags for your video. 7. Copy and paste the server URL and stream key into your software. 8. Click Go Live to begin your video right away, or Schedule to set your video up for a future date (up to one week in advance). This tool is basically the same as the Live Video publishing tool for Pages, but is available to profiles, groups, and events as well. 2. Click Connect to connect your software. 4. Choose where your video will appear and add your description. 5. Add a title for your video. 6. Copy and paste the server URL and stream key into your software. 7. Click Go Live to begin your video right away, or Schedule to set your video up for a future date (up to one week in advance). Simplify your Facebook marketing strategy with Hootsuite. From one dashboard you can schedule posts, engage your audience, create Facebook Ads, and more. Try it free today.